Software developer PostalWorks had put together a nice set of software features and tools that would manage an email direct marketing campaign. In late 1999 they had a potential corporate buyer for their product, so they contracted with The Communication Studio to pull it all together into an interactive, easy-to-use, saleable package. Soon after I finished the design, PostalWorks successfully sold their email Direct Marketing Campaign Manager as the flagship product to TMP Worldwide, which is now known as Monster.com. 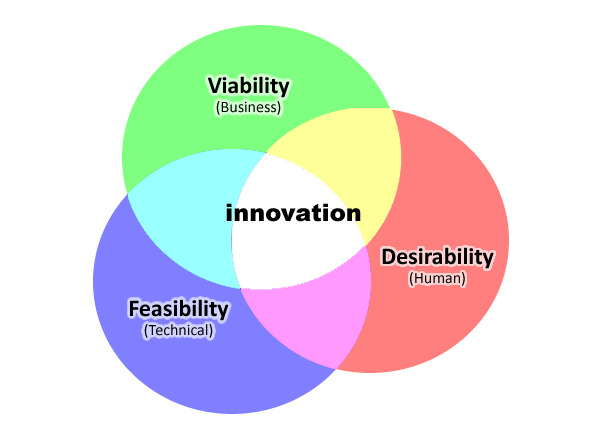 Our task was to identify the functional requirements and create a fully-featured interactive design model so that a graphic design team could create HTML pages for the front end of their product. Within 3 months I gave them a working prototype wireframe modeled in Visual Basic and a completely seamless, thoroughly documented, richly modeled. Maintain a complete library of all campaign collateral materials. Segment and target the customer groups. Define the rules, triggers and conditions for automating the email campaign. 1999 was still fairly early days for html. So I used Visual Basic as the platform for modeling functionality. My documention and wireframe prototype served as a functional, behavioral and navigational framework & model for the back-end programmers and webpage design shop. 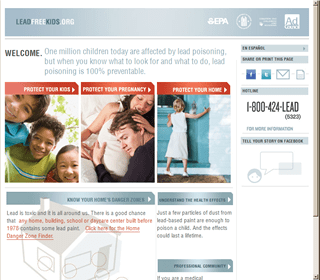 Merkley +Partners (also our agency client in 2008) asked us to guide their redesign this public-facing self-service health site, a partnership between the EPA and the Ad Council. We simplified the UI, spoke to the target audience (Moms), gave it a social networking edge, and focused on immediate “calls to action”. 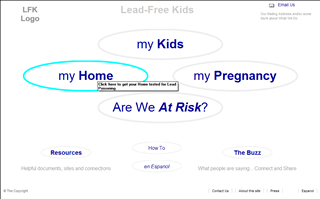 The legacy leadfreekids site was meant to offer health and safety-oriented self-service. But it was an uninspiring hodgepodge that failed to reach – or motivate – its target audience. Merkley didn’t ask us to brand the site – They already have excellent folks in-house to do that. We provided information architecture and content strategy in a clickable demosite that provided a structural framework (See first image). They restructured the site on the basis of our “raw” wireframes guidelines and “skinned” it attractively (See second image). Smooth, sweet, and effective. It’s always a pleasure to work with a highly professional team that really “gets it”.